Today (Tuesday, 22n November, 2011) the Indian rupee (INR) tumbled to an all-time low of 52.73 against the U.S. dollar (USD). 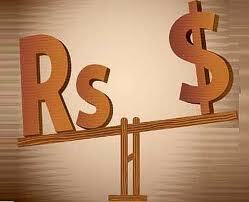 The rupee has now fallen 14% since the start of 2011. And, The rupee remains the worst performing of Asia's 10 most-traded currencies. Since most of our customers are from U.S, they can get benefit from this News. Let me explain in detail. 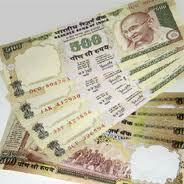 Our Base Currency is Indian Ruppee (INR). Since U.S. Dollar (USD) is growing strong against INR, I will be able to get same amount of Rupees (INR) even if our U.S. Customers pay less than usual rates for our Services and Scripts. So, I can reduce the Rates for our SEO Service and for our Products if you are going to make the payment in US Dollar (USD). Contact me (rajamanickam@gmail.com) if you are interested to utilize this opportunity. Even I can sell our websites at reduced price. I think it will be a win-win approach. The buyer can get the scripts/services/sites at low price while I will be paid at normal price. Note that this Offer will NOT be available once after the Rupee returns to its original value.